14 Seater Standard Chesterfield Minibus Hire has been useful to recruitment agencies when transporting their staff. They have also been used by festival organisers to provide transport from train stations to the festival venues. Schools also hire them to transport students from home to school. Due to size, they are also popular among adventure sports seeking to be driven to highlands, lake districts, forests, and to walk sites. They are also able to manoeuvre and can travel in narrow roads and paths. Our 14 Seater Standard Chesterfield Minibus Hire is also customised to meet the needs of all customers. You can trust these vehicles to satisfy you with comfort and promptness. The chauffeurs for these buses are well trained, and you can trust them to take you to your preferred destination on time. These drivers are locals are very familiar with the area. Furthermore, we never assign chauffeurs who are new in an area as we understand how vital route familiarity is. The luxury vehicles under this category come with a sleek and stylish interior that ensure more relaxation and refinement. With this selection, you can be guaranteed of being transported in a luxurious style. These vehicles are also great for weddings and offer the best choice for bridesmaids and other close relatives. 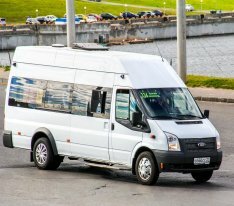 If you book this vehicle, you will get to your destination in style.